To carryout basic and applied research on camel production and health as influenced by different farming practices. 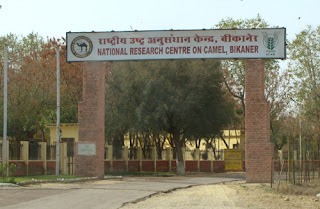 To carryout base line survey of camel genetic resources in India. To carryout research on draughtability. To carryout research on milk production potential in camel. To carryout research for improving reproductive performance. To carryout research on management of camel diseases through surveillance, monitoring and control measures. To carryout research for enhancing productivity by nutritional intervention. To carryout research for exploring camel immune system and its applicability in the diagnosis and therapy of human diseases. Technology validation and its impact on socio-economic status of camel keepers. To act as a repository of information on camel research and development. To collaborate with national and international resources. Development of human resource in the area of camel health and husbandry.